A year of planning terminated in, “success number two.” The Shelley Gautier Para-Sport Foundation hosted it’s second annual Stationary Bike Race, May 7, 2017. The first team scheduled “Celebrity Team 1” were ready. At stake for them was the challenge of being once again winner of the most kilometers pedalled! Many returned for this the second annual and were captained by Richard DesChaletes, Olympian Wrestler, winner of gold in two Commonwealth Games. Each scheduled ride of the day was inclusive of able-bodied riders on tandem bikes and disabled riders on handcycles. The final team of the day, Amici Per La Vita Cycling Club, was revved for competition. They pushed the limit of endurance every second of the 20 minute ride. Their exhaustion paid off! Not only did this team pedal the most kilometers but they brought in the most money in pledges. Every team had ridden for their lives, eager to win the cherished km challenge. For this committee each team participating in the event was a winner in so many ways. Throughout the day participants and spectators could enjoy the excitement of the cycling, the delicious pizza and pastries available for sale and shopping from a large selection of items for sale at the gift table. All proceeds raised at the event remain in the Niagara Region for the purchase of equipment and to establish training programs. A special thanks to the Gold Level Sponsor, Ruth Woelfl, Royal Lepage Real Estate and to the many other sponsors. Success is only possible through your generosity. The amount of $10,000 was raised. The event committee anticipates an even more profitable result for 2018. The date will be set soon and Club Italia welcomes our return for the third annual Stationary Bike Race. Visually impaired people are cycling and enjoying the area's trail system thanks to some dedicated volunteers. Tandem bikes are now available for the visually impaired through a program made possible by the Shelley Gautier Para-Sport Foundation. Volunteer "pilots" take the lead position on the bikes. Launched in 2015, the foundation, based in Toronto, supports people with disabilities through sports and helps existing community sports and recreation facilities develop para-sport programs. Similar cycling programs have been set up in Ottawa and Hamilton. The three cities shared a $75,000 Ontario Trillium Foundation grant. The Brantford program began in July and continues until Aug. 25. Rides take place on Tuesdays and Thursdays beginning just after 6 p.m. at W. Ross Macdonald School, which is a partner. Anyone interested in participating can contact Rob Clark and Bill Morgan through brantfordtandem@hotmail.com. Morgan is a teacher at W. Ross Macdonald and Clark is also affiliated with the school. Timeslia Edwards, 18, a W. Ross Macdonald student, said she she has enjoyed cycling on Brantford's trails. "It's a lot of fun," said Edwards, who is originally from Cochrane, Ont. "It's great that we have the trail system so close by. It's a great way for visually impaired people to enjoy cycling and the trail system." There are nine tandem bikes and since the program started in July and on most nights, all of the bikes have been used. Chances are if you encounter one tandem cycle on the trail system on a Tuesday or Thursday night, you'll probably see seven or eight more. "It's kind of cool when we're out riding," Morgan said. "Someone will go by us heading the other way and say, 'Wow, cool bikes.'" While it's true that once you learn how to ride a bike, you never forget, riding tandem does require some adjustments. "You have to work together, especially when it comes to hills," David Ely, of Paris, one of the program's several volunteers. "If you have someone young and strong who really wants to charge up that hill, you have to be able to keep up. "It's a lot of fun and it's a great way to keep in shape." Nick Rollings, of Brantford, is also a volunteer rider. "It's a great way to meet new people and it's supporting a good program," Rollings said. The foundation is named for Shelley Gautier, a 12-time world champion, who was nominated for the Laureus Award for the world sports person of the year with a disability in 2015. She was named female cyclist of the year in 2014 and 2015 by the Ontario Cycling Association. As well, she was the torch bearer for the Toronto 2015 Parapan American Games in Toronto and a silver medallist at the mixed time trial event. Gautier suffered a severe head injury in a mountain bike accident in 2001 which left her in a coma for six weeks. Prior to her accident, Gautier was a physiotherapist and used her knowledge and love of cycling to help in her recovery. She was back on a bike in less than a year after being hurt and, by 2007, she was racing 50 kilometres. She was the first female tricycle T1 rider on the international scene in early 2009 and was a silver medallist at the Guadalajara 2011 Parapan American Games and was a Paralympian at the 2012 London Summer Games. Gautier was recently named to Canada's 2016 Paralympic team that will compete in Rio De Janeiro following the Olympics. (OTTAWA, MAY 12, 2015) The Canadian Paralympic Committee (CPC) is pleased to announce that world-renowned sport business and marketing expert, Norm O'Reilly, originally of Lindsay, Ont., has been named Team Canada's Assistant Chef de Mission for the Rio 2016 Paralympic Games and will support the leadership provided by Chef de Mission Chantal Petitclerc. O'Reilly is recognized internationally as one of the leading scholars in sport business and is Chair of the Department of Sports Administration at Ohio University's College of Business in Athens, Ohio, home of two programs that have been ranked No. 1 in the world by Sport Business International in recent years. He currently holds the Richard P. & Joan S. Professorship in Business. Author of seven books, O'Reilly has expertise in a range of sport business topics, including marketing, sponsorship, social media, finance, social marketing, tourism management and management education. He was a member of the 2004, 2008 and 2010 Olympic Games Mission Staff, in a variety of roles including operations at Canada Olympic House and administration in the Olympic Village. "I am so excited to welcome Norm as our Assistant Chef," said Petitclerc. "He will bring the team his passion and expertise and also share our vision of excellence towards Rio. I truly look forward to working with him." Along with Chef de Mission Chantal Petitclerc, O'Reilly will act as team spokesperson and focus on pre-Games preparation and supporting team staff for an optimal environment of success for the athletes. 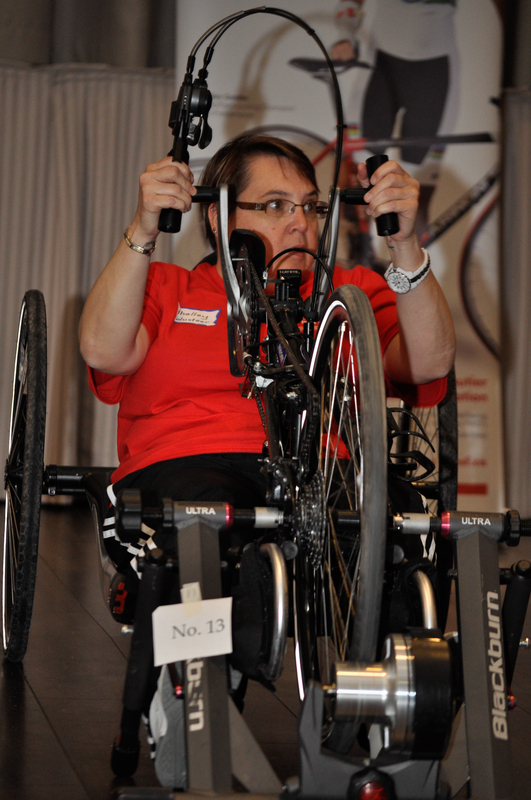 They will also promote Canada's athletes and raise awareness of Paralympic sport and the Canadian Paralympic team. "I've had the good fortune to be involved in numerous facets of the Paralympic movement for 20 years," said O'Reilly. "It is an absolute honour to be named to this position and have the opportunity to support Chantal, one of the greatest Paralympians of all time. I hope to help our athletes to the best of my ability over the next 18 months." O'Reilly is a highly-motivated individual who is incredibly passionate about sport and its stars - the athletes. An avid triathlete who competed at five Long Distance World Championships as an age grouper, O'Reilly was recognized in 2013 as one of the "Five to Watch" in sport business in Canada by the Globe and Mail. He currently sits on CPC's Revenue Generation Advisory Group. O'Reilly is a lifetime Research Fellow of the North American Society for Sport Management. In 2011, he was the recipient of the University of Ottawa's Media Excellence Award for the extensive media coverage of his research. O'Reilly is very active as a professional in the Canadian sport business. For nearly 10 years, he has been minority owner and senior advisor with the Consulting Group of Toronto-based marketing agency, TrojanOne, where he has worked for clients including Nike, UFC and many more. TrojanOne also has offices in Vancouver and Montreal. O'Reilly holds a PhD in Management from the Sprott School of Business at Carleton University, a MBA from the Telfer School of Management at the University of Ottawa, a MA in Sports Administration from the University of Ottawa, and a B.Sc. (Kinesiology) from the University of Waterloo. He has previously taught at the University of Ottawa, Syracuse University, Stanford University, Laurentian University, and Ryerson University. The Rio 2016 Paralympic Games run September 7 to 18, 2016 and will feature approximately 4,350 athletes from more than 160 countries. Team Canada expects to send a team of approximately 170 to 200 athletes. Qualification is ongoing and will be finalized in summer 2016. The Shelley Gautier Para-Sport Foundation (SGPSF) is very pleased to announce a joint project with The W. Ross Macdonald School for the Blind. Starting on May 5, 2015 students attending the school can participate in a program that will allow them to experience the joys of cycling. Utilizing tandem bicycles they will commence training sessions designed to teach necessary skills to cycle safely. Under the guidance of certified, experienced coaches from the National Cycling Centre Hamilton (NCCH), Students will have the opportunity to acquire the life-long skill of cycling. Volunteer pilots will train with blind riders and will include both staff from W. Ross Macdonald and experienced riders from the NCCH. The goal is to build on the initial success of the program to expand the opportunity to the hundreds of visually impaired students under the age of 18 across Ontario. Participants will have the opportunity to join in a fun day of cycling in Barrie on May 30th, which brings together people from many different cycling divisions. Dan Maggiacomo, the school's principal, is hoping that this program will provide a lifelong recreational sport activity for his students as well as an opportunity for some to follow a competitive stream with dreams of winning a Paralympic medal. The alumni of the W. Ross Macdonald school have a proud tradition of sports involvement at the international level. The Shelley Gautier Para-Sport Foundation will be collaborating with the W. Ross MacDonald school and the NCCH to fulfill the mandate to break down the barriers that prevent persons with disabilities from fully participating in sports by developing the facilities, equipment, programs and support people to help individuals realize their athletic goals. updates, and other stuff by email.